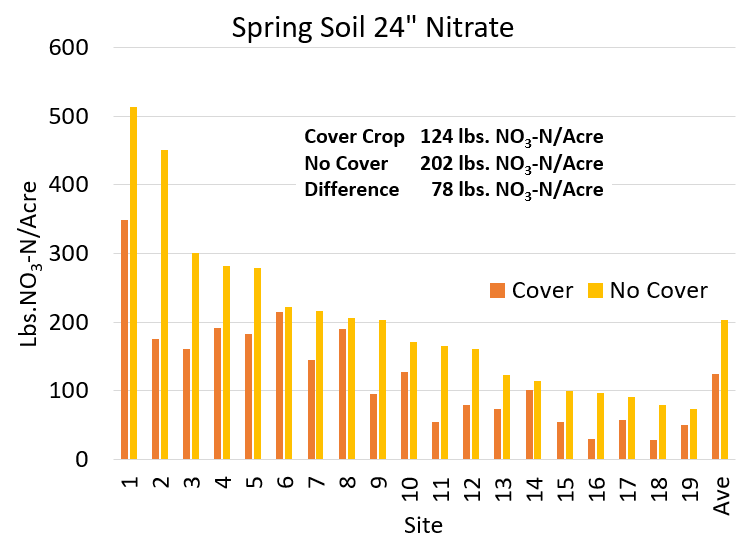 Nitrate levels above the drinking water standard of 10 ppm are frequently found in subsurface drainage tile water or groundwater below farm fields of the upper Midwest. Nitrogen comes from applied manure and fertilizer, along with natural mineralization of organic matter. Winter cereal rye planted as a cover crop has been shown effective in capturing nitrate before it leaches from the root zone. 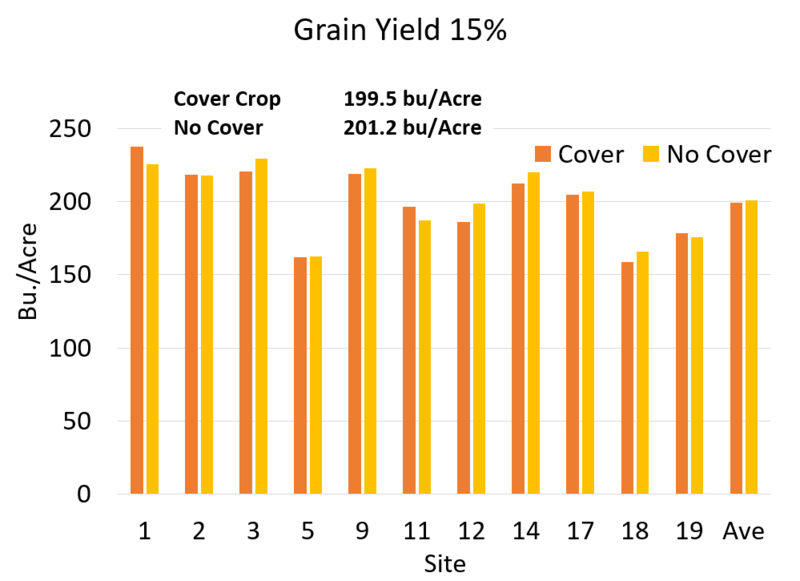 We conducted on-farm trials in central and southern Minnesota to determine if a rye cover crop would capture significant root-zone nitrate in the fall and spring but release it in time to maintain yield in the subsequent corn crop. In the fall of 2015 and 2016, we partnered with 19 farmers (ten in 2015 and nine in 2016) to drill strips of cereal rye immediately after harvest of corn silage or soybean. 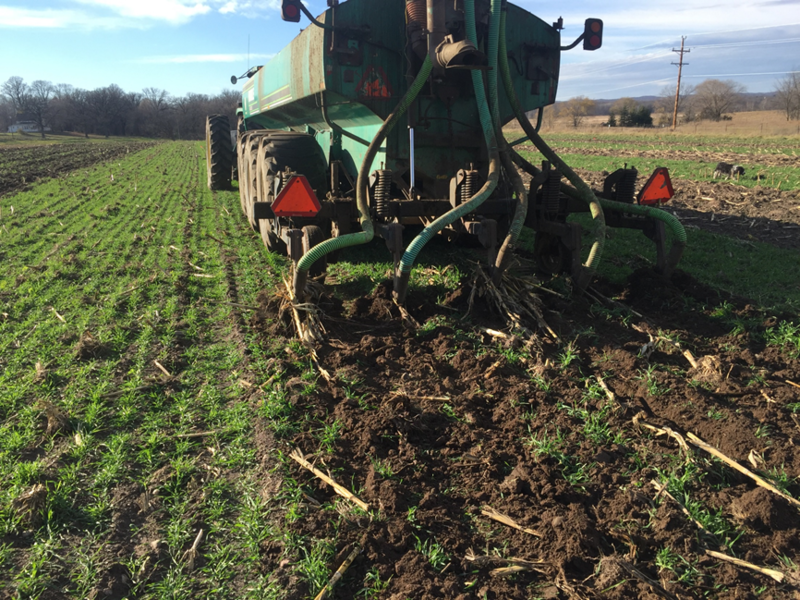 After the rye was established and soil temperatures began to fall, we injected liquid dairy or swine manure into the cover crop and check strips. Three replications (with and without cover crop) were planted as wide or wider than the farmer’s combine or silage chopper. 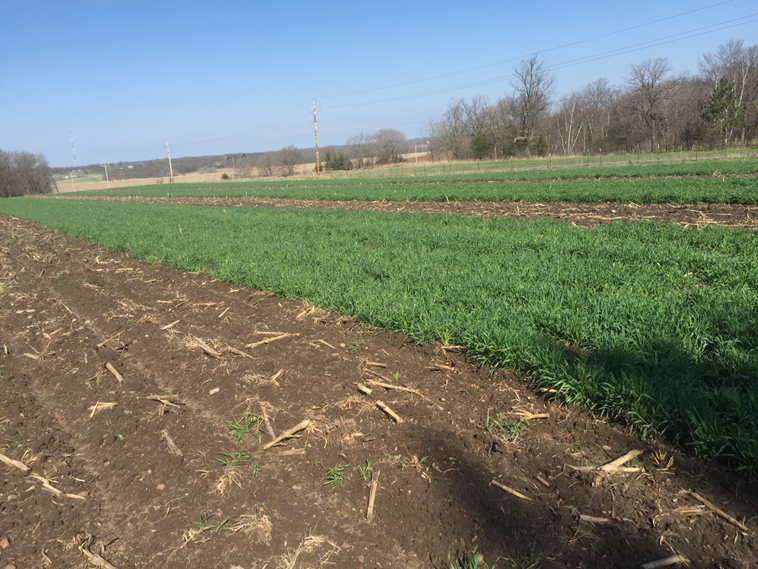 The following spring, we sampled the cover crop for biomass and nitrogen content. We also soil sampled the cover crop and check strips to a 24-inch depth for nitrate. The rye was terminated, usually before reaching eight inches in height. In most cases, the rye was terminated with herbicide and tilled in. Corn was planted in the cover crop and check strips, usually with a small amount of starter nitrogen. We measured yield and nitrogen content of the corn at harvest. Fall manure injection into cereal rye cover crop. Spring rye growth at the same site. In both years, adequate growing season existed to establish the rye cover crop after either corn silage or soybean harvest, but above-ground fall growth was limited. The rye was very resilient to manure injection, however, stand reduction was considerable at two sites where shank injectors or disk coverers were too aggressive. Spring rye growth was good at most sites, with soil nitrate reduced under the cover crop compared to the check strips at all sites. Rye growth and nitrogen uptake were greater in southern than central Minnesota. 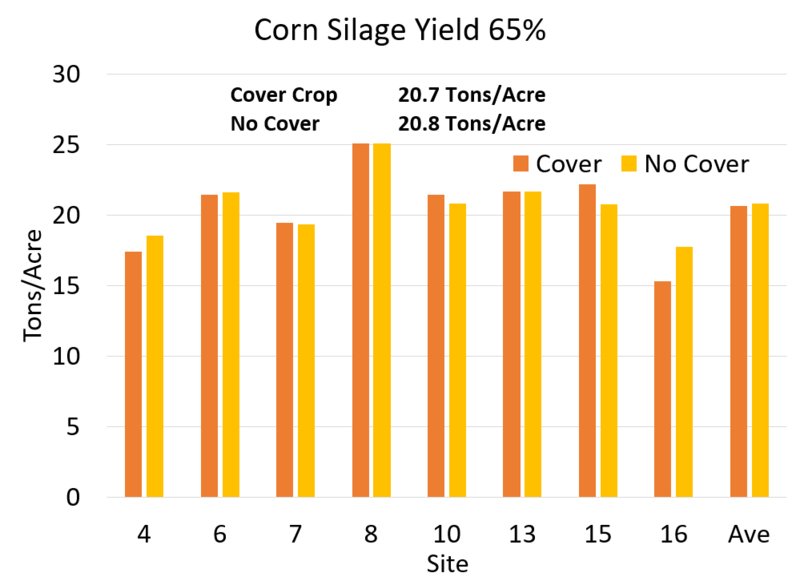 Across sites, there was no significant difference in silage or grain yield between the cover crop and check strips. 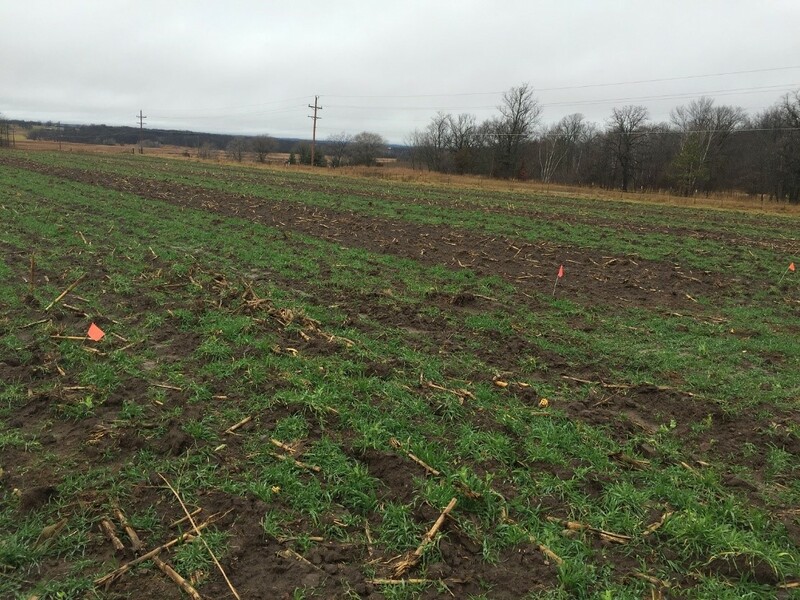 We concluded that, in central and southern Minnesota, it is feasible to establish cereal rye cover crop after corn silage or soybean harvest, inject liquid manure, capture root-zone nitrate with the rye, and deliver sufficient nitrogen to the subsequent corn crop. Additional experiments are needed to determine any nitrogen recovery effect of no-till vs tillage termination, as well as supplemental nitrogen needs if the rye were terminated at a later maturity.